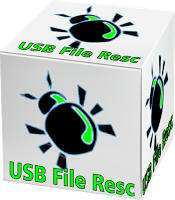 USB File Resc is a small pocket program "freeware" that is used to remove and disinfect USB Extracted Disks (Pendrive) infected with shortcut viruses, recyclers and other types of malware. Not only does it disinfect your removable disk, it also disinfects your computer and stops those bad processes that generate shortcuts again. You do not need to know programming, nor codes to disinfect your equipment, with a few clicks, the program does everything. 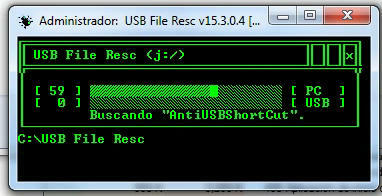 Step 3.-Place the letter J in the USB File Resc program. First, USB File Resc scans your computer, looking for processes and malicious files that are responsible for generating new shortcuts. Then, USB File Resc will go to your Removable Disk (USB) and disinfect it, eliminating Hot Keys and hidden viruses in folders like Trashes or Recycler. Step 5.- Ready!. 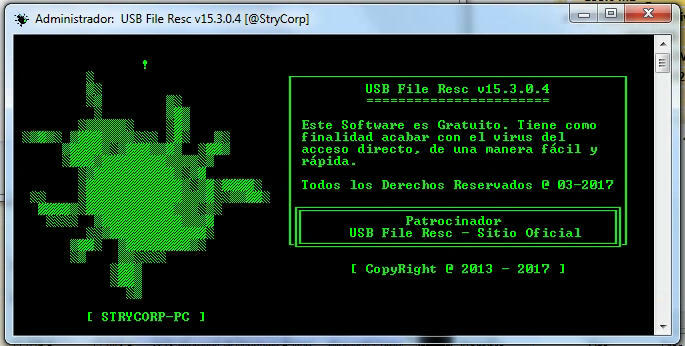 USB File Resc will have done all the work. Goodbye to viruses !, Your computer will have been disinfected and ready to go on with everyday life. USB File Resc is committed to being up to date against the new threats that shortcuts generate, but we need the help of the general public to know what types of threats are giving you Headache and problems disinfecting your computer. If for some reason USB File Resc does not work on your computer, perhaps for having a new virus, program errors or for some strange reason, do not hesitate to contact us. What types of virus Removes USB File Resc? 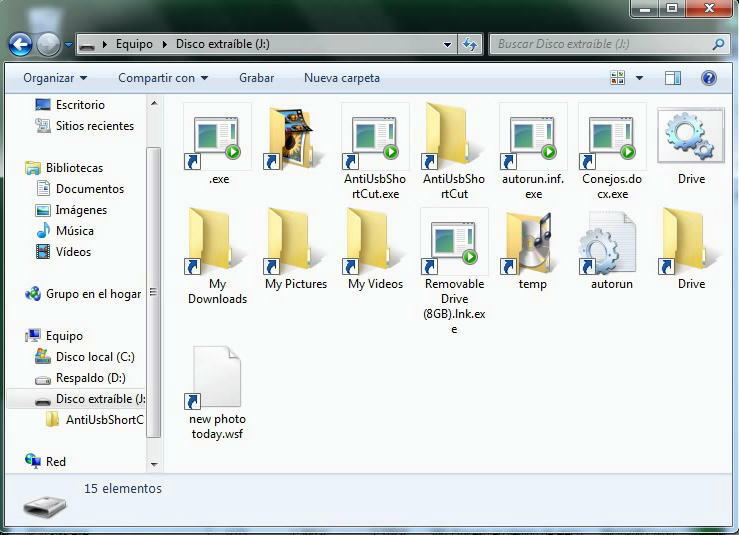 5.- Ejecutables, New Folder.exe. *.exe. 9.- BlackJocker-rad12345.rar, cpuage.tnt, cpufix.exe, cpuspeed.tnt, newcpuspeedcheck Copy.lnk, workers, cpuchecker.exe, cpuchecker32.exe, msvcr120_64.dll, msvcr120_86.dll, x32.bin, x64.bin. This is a program 100% free and free, we do not buy advertising, much less have a source of income, we do not belong to any company or have a service center, in fact, nor are we a group of people, it's just me, a single person who created this currently famous tool called USB File Resc. Maybe simple but very effective. 150kb was enough to kill those viruses that cause you anger and harass, compared to 60mb heavy antivirus that do not eliminate anything and turn your PC into a turtle. Your donation would help me a lot to keep updating and improving the program. What you like. Contact networks to support USB File Resc. Toolslib: You can get in touch through this page, in the part of the comarters or through this Thread. "zuck my d***, virus! $$$"